Well, first off, what can be said about Phil Lynott that hasn't been said before? The man was a musical genius, and in many ways was the heart and soul of Thin Lizzy - one of the best underrated bands of the 1970's. In honor of the late great musician a statue was erected in his hometown of Dublin, Ireland on what would have been his 56th birthday, August 20th, 2005. Obviously there were a number of former members of Thin Lizzy on hand to honor the man. 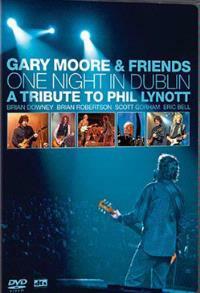 They would continue the homage that night with a concert led by one of the Thin Lizzy alumnus Gary Moore. The resulting concert makes up the majority of this DVD. The concert consisted of a number of Thin Lizzy tunes and the occasional Moore solo number, performed with a reverence, but also with a passion that makes this a killer show. If you are a Thin Lizzy or Lynott fan, you'll certainly enjoy this concert and the loving tribute that it represents, but how you feel about the man will in no way prevent you from enjoying this. 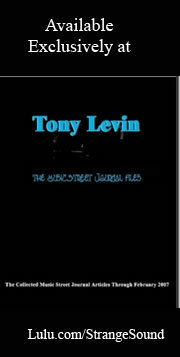 If you are a fan of killer bluesy rock, then this DVD is for you also. These guys created a show that was one of the best displays of the genre ever captured, and you can watch it over and over again. What more could you ask for? As if this killer show wouldn't be enough, they also include footage of the unveiling of the statue and interviews with all the former TL members. Frankly, words just don't do justice to this disc. If you are a Thin Lizzy fan, by all means pick it up (or a Gary Moore fan as far as that goes). But also, if you just want to see a stellar bluesy rock concert by some of the best creators of the style, you need to get this. If the point wasn't made clearly enough - buy this DVD! It rocks! I hope that was clear enough. 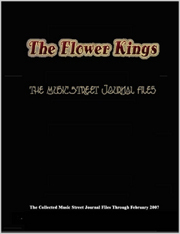 This review is available in book format (hardcover and paperback) in Music Street Journal: 2006 Volume 2 at lulu.com/strangesound.